The year is 2068. Your fridge is desperately trying to buy potatoes as per your robot cook’s request, whose algorithms have found the best recipe on the Web for a potato gratin. And just before you start entertaining the thought of having a wonderful dinner thanks to the Internet of Things (that is the Internet where everyday objects have network connectivity and exchange data), there’s something I want to tell you about. The reason your fridge is desperately trying, and not just buying those potatoes, is one: your fridge’s algorithms are lost in a cruel to machines, human-only readable Web, where data are either missing, hard to find, or locked in a format that hinders their seamless exchange. The fridge’s problem (yours and mine too) is that it cannot read and process the content available across the web, or across various databases (say the database of the potato reseller). 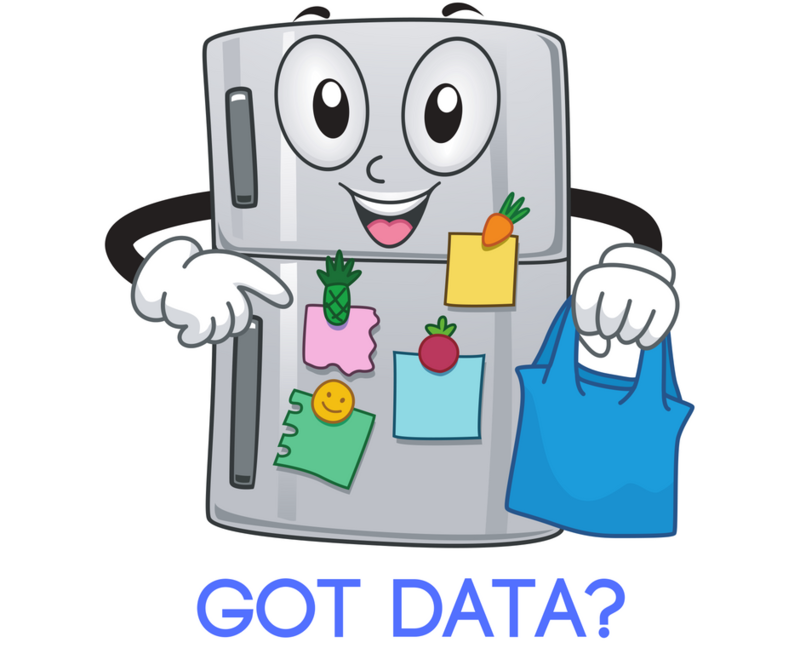 In a world of linked data, that is a world of links between data represented in a standard way, the fridge, you and me, would be just fine: there will be content available for software agents to find, read, exchange and integrate easily. The fridge and the potato reseller’s database will be communicating in a common language – the language of data, represented in standard format. OK. Now, we are getting closer to the idyll where you will be having a wonderful dinner thanks to Linked Data. But there’s more I need to tell you and it’s about the relationship between SEO and Linked Data. How will your fridge “know” which potato reseller to choose? How will its algorithms (or the algorithms of the search engine the fridge uses) search and find the best option? Would that be the closest to your home, the cheapest, or the most authoritative? On one hand, it depends on how you’ve set the software agent to search across databases, using your contextual data, such as where you live, which patato resellers you prefer. On the other, it depends on the data provided by the various resellers – is there enough data for the agent to process, are they relevant, are they in an interoperable format, can they be trusted. All of the above questions go beyond the representation of data and enter the techy realm of topics like: data querying, ranking, relevance, provenance and basically all the 4 Vs of data: volume (the amount of data), variety (its diversity), velocity (the speed it travels at), veracity (can data be trusted). As complicated as the answers can get, they are worth the effort to rethink the way data are approached. If you add a few extra lines to the HTML code of your Web site, you will feed Google and hundreds of evolving mobile and recommender applications in one turn. Fed with data (machine-readable content), search engines (applications, devices, platforms, your fridges search algorithm included) are capable of returning more relevant results and more effectively executing tasks (be they the trivial action of ordering potatoes). And this is where SEO and Linked Data meet. Fed with structured data, software agents can become trusted and efficient assistants in many of our activities. The people behind search engines are very well aware of the fact that structured data (and structured data is linked data) is what will help them return better, more relevant results and answers to the end user or the data consumer. In June 2011, Google, Microsoft, and Yahoo (Yandex joins a few months later too) team up to launch the initiative schema.org. Structured data on the web is what schema.org is all about. The goal of the activity is to encourage the publishing of data on the web that is understandable for search engines. What are the new SERPs? There’s no easy answer to this question. But one thing is for sure, your fridge, Alexa (as was the case in Omi Sido’s interview) or any other device will need structured data as to serve us better. And while today structured data helps immensely the ranking of websites and their success stories (check one here: A Website’s Structured Data Success Story), in the future structured data will be key to understanding and proper communication between people software and hardware. To get back to our fridge’s story, when the time your fridge will be querying your potato reseller’s database comes, the businesses that got their data right (available, standards-compliant, linked) will be at least 1000 potato gratins ahead of the (SEO) game. 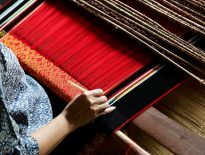 SEO and Linked Data are powerful, but what we do with them, how we weave the stories of people, goods and ideas through them is what holds the real value. It is up to us to connect the data scattered all across various platforms, systems and applications and acknowledge that there are stories flowing under each and every information piece. We are to tell these stories with love and data (here’s an example Dear Data). And we are to make data easy to find and ready to connect machines and people alike. Then we won’t be optimizing for search engines nor we will be using the latest semantic web technologies. What we will be doing is we will be building webs of knowledge. Oh, and yes, eating potato gratin in 2068, thanks to them.